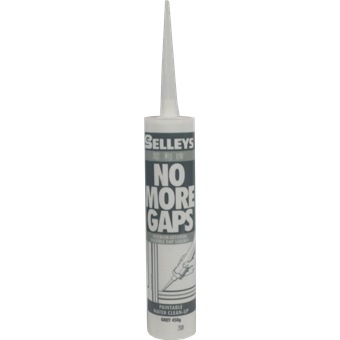 SELLEYS NO MORE GAPS GREY 450GM-108791 is rated 5.0 out of 5 by 1. An acrylic latex caulk for gaps and joints where joint expansion and contaction causes rigid fillers to crack or fall out. No More Gaps provides a professional finish to painting or filling jobs. No More Gaps can be painted after the surface has skinned (approx. 30 minutes) and cures within 48 hours to a durable and flexible seal. Excellent adhesion to wood, brick, glass, particle board, plasterboard, aluminium, paint and ceramic files. Not recommended for gaps between tongue and groove bonds. Rated 5 out of 5 by Hallelujah from useful gap filler This item is useful to fill up gaps for glass doors at my balcony which serves its main purpose. The grey matches the colour scheme of the balcony.